I got quite a few requests on Tumblr to do a post about my New Year's gifts, so here goes. I really did not expect much this year and I was perfectly fine with that, but I was really pleasantly surprised. 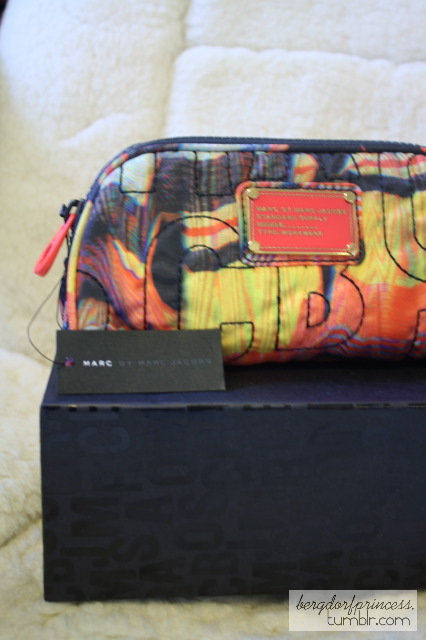 The Marc by Marc Jacobs bag I previously posted about was another gift I got. I wore it on NYE and it was really convenient! 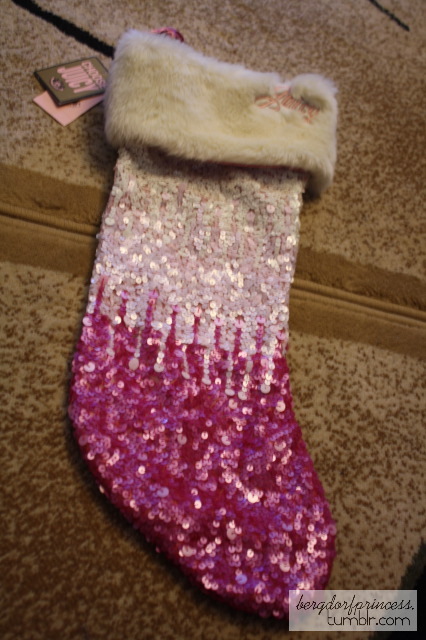 My parents also got me this cute little Juicy pink stocking. My aunt and uncle gave me this little pouch from Moschino that I'm not quite sure what I'm going to do with, lol. Those flats look WAY too small on your feet..
As a matter of fact.. size 8.5 on someone as tall as you say you are seems very much disproportionate.. They just look like they're squeezing your feet and it makes your feet look fat. The Juicy Couture stocking is so adorable, lucky!